Today has been great! Me and Irfan had a seriously day out. First stop was at Matrade. 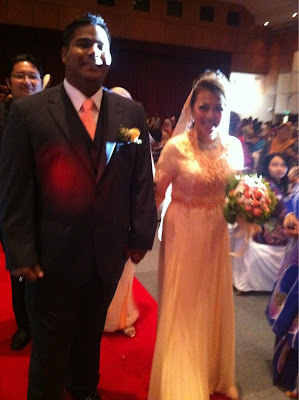 To celebrate the reception of Asyraf and Ryna. Beautiful! Everything was perfect! The foods and all. So organized and so perfect in any sence. The hall was super huge and people from all over the world came by to watch the newlyweds. So i would like to take this opportunity again to say..
And then we went to Alam Impian. Wondering around the place for a while to search for my friend's house. 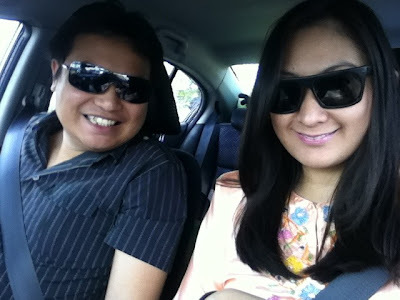 After we could grasp the map of Alam Impian, i asked Irfan to take me to GM. One of my fave wholesale place of all time. They have moved into a bigger building, full with airconditioned and clean toilet. Love it there! So i bought some masks and also a freebra. Hehe. It was okay the price for the freebra but the masks were cheap! Selamat menyambut Maal Hijrah buat semua! ⋅ Labels: life , wedding. When you know you just can’t do it..